The 1745 Jacobite Rising lasted nine short months, from Charles Edward landing on Eriskay in July until the destruction of the Army at Culloden the following April. During this time there were three major battlefield engagements and at least two minor skirmishes. Charlie’s Jacobite Army won all of these engagements bar one. You could fill a book analysing the reasons for the failure of the Rising. Many people have. It is this writer’s view that failure was inevitable. However, the military performance of the Jacobite Army throughout this campaign cannot be gainsaid. The history of the Rising, commonly given to us, highlights; the Jacobite victory at Prestonpans, deemed to be simply lucky; the drive south into England which reached Derby before turning for home when victory was seemingly within their grasp; then the final denouement at Culloden with the apparently inevitable victory of professional, experienced British troops over badly organised, badly led, uncivilized highlanders. This superficial assessment of events fails to recognise the two key conclusions that a proper, balanced analysis would reach. Firstly, the Jacobite Army was an extremely effective military force. Secondly, as was so often the case since its inception under Cromwell, the performance of the British Army was utterly sub-standard. 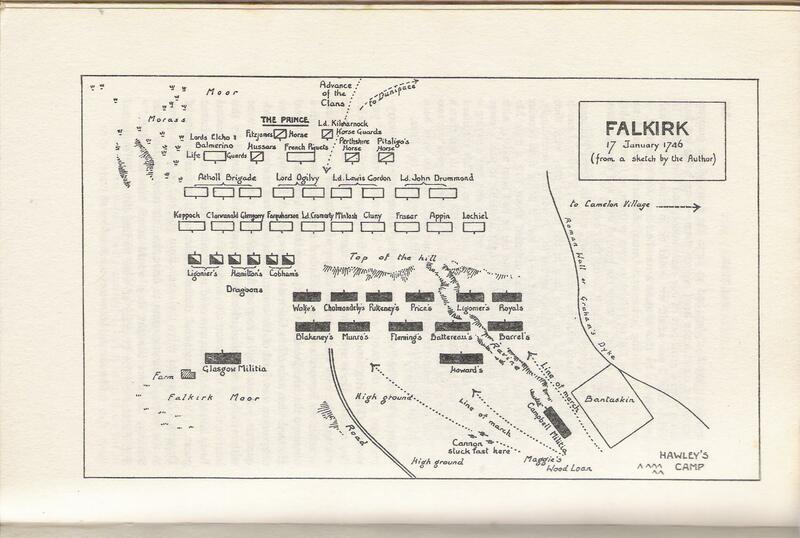 In this post we’re focusing on Falkirk, the second of the three battles, using it an attempt to answer two questions. How good a military force was the Jacobite Army, particularly the generalship, and how good or bad were the British Army who opposed them? 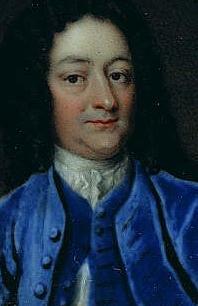 Lord George Murray commanded the Jacobite Army at Falkirk. At fifty years of age he had significant previous form with respect to Jacobite Risings. 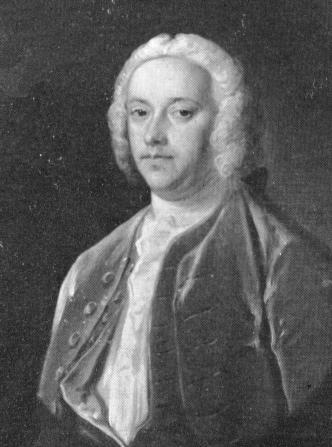 Out in the 1715 event, he commanded one of the three Atholl regiments in the Earl of Mar’s Army during this campaign and fought in the defeat at the Battle of Preston in November where he was taken prisoner. He escaped and made his way to France. In the 1719 Rising he had a prominent role at the Battle of Glenshiel, the only field action fought during that campaign. Murray commanded the right wing and was wounded during the action but escaped the field. He returned to Scotland in 1724 and was pardoned by the Government the following year. When Charles arrived at Blair Atholl in September 1745 at the head of the newly assembled army, Murray joined and was installed as Lieutenant-General. By the time the first battle of the campaign was fought, at Prestonpans on 21st September, Murray was virtually in full military command. However, Charles, as commander-in-chief was never fully comfortable with this arrangement and the relationship between the two men, both personally and in matters military was often disputatious. It was on Murray’s initiative that the bold move was taken the night before Prestonpans to change flanks by taking his infantry in narrow file across the marsh before falling on Cope’s redcoats, annihilating the British Government’s force. This victory aligned with his comfortable command over the mostly highland army put him in a strong position. However, Charles was less than comfortable with him on a personal level from the outset and his counsellor’s dripped poison in his ear regarding Murray at every opportunity. Murray was opposed to the Prince’s plan to march into England and at Derby he led the arguments in favour of retreating northwards. A decision which Charles was fully opposed to but had little choice other than to concur with in the face of almost unanimous agreement amongst the chiefs. As the army made its way back north Murray took command of the rearguard, with redcoat detachments maintaining a continuous presence at his rear and flank. Twelve days, and almost two hundred miles into this ordeal when they reached Clifton Moor in Cumbria, Murray turned his rearguard of several hundred men around and engaged an enemy contingent of similar size under the personal command of the Duke of Cumberland, sending word up the line to Charles of his intentions. Once again Murray won the day. And the Jacobite Army was able to continue its northward march untroubled by further enemy interference. Henry Hawley commanded the Hanoverian force that was to fight at Falkirk. He was 67 years old and, like Murray, a Lieutenant-General. He too had previous form in Jacobite Risings. As Lieutenant-Colonel of the 19th Regiment of foot he fought at, and was wounded in, the Battle of Sheriffmuir. Which was fought on the same day as Murray led his force at Preston. General Henry Hawley. Commander of the losing side at the battle. On 29th December 1745, following General Cope’s disastrous defeat at Prestonpans, Hawley was promoted to Commander-in-Chief of George’s forces in Scotland. Following the destruction of his own command at Falkirk, he was involved at Culloden in the aftermath of which he further enriched his reputation for brutality in dealing with the prisoners of war. The Jacobite army consisted entirely of volunteers, not all of whom were convinced of the possibility of success. Prince Charles’ arrival on Eriskay on 2nd August 1745 with but seven companions was largely unexpected by those who he hoped to lead. Twenty six years had elapsed since the last failed restoration attempt and the weapons had long been lying under the thatch. Nonetheless, he made his way to Moidart on the mainland and, crucially, managed to convince both MacDonald of Clanranald and Cameron of Lochiel to commit to this fresh attempt. The fiery cross was duly sent out and the Prince penned many letters with the rally set for Glenfinnan on 19th August. The Standard was raised, as it had been on four previous occasions and the Rising was on. Albeit the army at this point comprised little more than 1000 men, virtually all Highlanders. In the traditional manner of Highland armies whether under the command of Montrose, Dundee or the Prince, this force would grow then shrink in size and grow again on a continual basis as the individual clan Chiefs took it upon themselves to be part of it or not. By the time they reached Derby in early December it was no more than 4000 strong. And the force that Murray commanded at Falkirk was at its largest with a strength of some 8000 men. King George’s armies were of a different nature altogether. These were paid professionals benefitting from formal training and for the most part combat-experienced from either the continental battlefields of the War of the Austrian Succession, or from the subjugation of various indigenous peoples across the world. When General Cope watched his defeated men flee the field at Prestonpans, the 2,500 men he saw disappear into the distance was probably more than the force that had routed them. During the rest of the campaign the redcoat army would outnumber the Jacobites. Hawley’s command at Falkirk being in the order of 9000 men. In terms of cavalry the Jacobites had little to speak of and none that could be effectively deployed at a tactical level on the battlefield. The welcome arrival of French troops later in the campaign, in the form of the Irish Brigade provided some additional cavalry who were deployed in a peripheral role at both Falkirk and Culloden. In the first four months of the Campaign Murray had marched his little Army out of the Highlands and taken the Capital, unopposed by enemy forces. He’d destroyed the first army sent against him at the Battle of Prestonpans. He had then marched them all the way to Derby through what was unmistakably hostile territory, regardless of the false hopes held by Prince Charles and his immediate circle that huge numbers of latent, English-born Jacobites would flock to their banner. On the way back, harried by redcoat soldiery at rear and flank, he had turned a portion of his force around and dealt a decisive blow against these, allowing the army to continue their return to Scotland without further menace. By contrast the performance of King George’s men looked pretty poor. Having failed to stamp out the rebellion in its crucial, nascent stage they had then been forced to abandon Edinburgh to their enemy. Given the opportunity to crush it at a full, formal field engagement at the Battle of Prestonpans. Which was exactly the type of engagement where the esteemed quality of the British Army’s training, equipment, leadership and martial stock, provided huge superiority. And they failed utterly. General Cope, as so many redcoat generals before and since, succumbed to the delusions they cherished so dearly. That there enemy was an undisciplined rabble, poorly armed and poorly led. Blinded by the chasm he believed to exist between his force’s superiority in all military aspects and the paucity of those of the Jacobites, he was outthought, outfought and completely outgeneraled. Like Cope, like Chelmsford at Isandlwana, Burgoyne at Saratoga, Percival at Singapore. Hubris abounded. Granted when Murray viewed the dispositions of the two sides the evening before Prestonpans it would have given him cause for thought. Particularly with his personal experience of battlefield defeats against just this type of force. It’s at times like this that a resourceful commander has to think outside the box. Exactly as Cromwell did with his flank march across the Pennines prior to the destruction of the Scots Engagement army at the first battle of Preston in 1648, or moving front by ninety degrees under cover of darkness as, again versus the Scots, at Dunbar in 1650. It could be argued that Murray was fortunate to have at his side a man with the key local knowledge of the path through the marshy ground which allowed the outflanking to take place. History has proven that able commanders make their own luck. Now, early in the New Year of 1746, despite their unquestioned success on the battlefield up to this point, the Jacobite Campaign was in a poor position. All could see now that there would be no further support than that already shown, whether political or military. England was a busted flush so if final success was to be achieved it would have to be found in Scotland. And so they moved to besiege Stirling Castle, in the absence of any other constructive option. A fresh Hanoverian army had came north under the previously mentioned General Hawley. And in early January it left Edinburgh to attack them. Fortunately for the Jacobites, Hawley was as much a typical product of the school of redcoat generalship as Cope. As Hawley reached Linlithgow, the Jacobite advance guard moved back and Murray made preparations for a full engagement at Plean on 15th January. 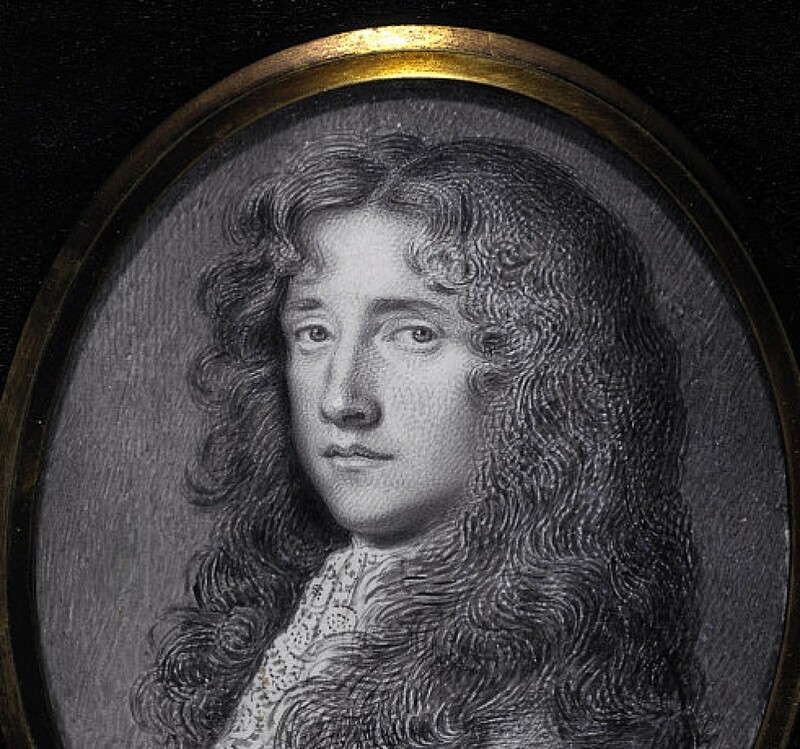 Hawley, however, having reached Falkirk, moved into a most comfortable billet and showed no signs of moving against them, as he engaged with local sympathetic nobility and enjoyed their hospitality to the fullest. His army was encamped some 2000 yards away. Once again, as one commander sat on his arse convinced of his forces’ superiority over his enemy, said enemy then exercised his resourcefulness to the fullest. Early on 17th January Murray led the Jacobite army directly towards Hawley’s encampment at Falkirk. His approach was designed to bring his army onto the high ground above the Hanoverians. Exactly the same approach used by Dundee when he left Blair Castle on the morning of Killiecrankie in July 1689 seeking General MacKay’s redcoats during the first Jacobite Rising. As was his wont the marching order of the army was determined by the order of battle with the MacDonald’s promised the right wing of any battle to be fought that day: Keppoch’s regiment led the van, some 450 strong with Clanranald and the Glengarry men following. At about 1 o’clock in the afternoon word was brought to Hawley that the Jacobite army approached. Unbelievably, Hawley chose to ignore this intelligence. Clearly no reconnaissance was being conducted and if Hawley had posted some form of rudimentary advance guard then posterity has failed to record the details. By 2 o’clock the attack was imminent. A further message was conveyed to the good general, by te commendable General Huske, outlining the peril of their position and this, it seems, was enough to move Hawley out of his chair. As he galloped into the camp, sans hat and breathing heavily, his men were already preparing to move out and they headed up the hill in a relatively orderly if somewhat hurried manner. Their artillery train of ten stout cannon, however, became stuck in the mud at the foot of the hill and would be unavailable to them in the imminent action. This would be a boon to the Jacobites when you recall the early damage wrought on their line at Culloden when Cumberland had the full train at his disposal. The first redcoat troops to reach the top of the hill were the dragoons. They could clearly see the Jacobite army approaching from the right. They proceeded on for several hundred yards until stopped by boggy ground, then wheeled right ready for action as the remainder of Hawley’s infantry then took position to the right of them as the Jacobite force opposite them formed up into line of battle. At this point it seems the calm but cold weather conditions which had prevailed all day now deteriorated significantly, with strong wind and stinging raining now enveloping the battlefield. The rain was to have a major detrimental impact on the performance of all the muskets deployed on the field. Another element which would favour the more lightly armed Jacobites whose weapon of choice was the broadsword. The opposing forces stood opposite each other for some quarter of an hour while their dispositions were completed in the lashing rain (see map). The redcoat front line comprised the three regiments of dragoons on the left and six regiments of infantry. Their second line comprised a further five infantry regiments with the Glasgow and Campbell militias posted a little to the rear in keeping with the British military doctrine of the time. The Jacobite were deployed in three lines with all their cavalry deployed in the rear rank as reserve. Their front line of 10 clan regiments was some 4000 men strong. Due to the haphazard manner in which they had been brought to the field by their commander in the first place and the limitation placed on their initial dispositions by the boggy ground in the second, the redcoats had to make do with the lie of the land as they found it. The luxury of fighting on chosen ground a la Napoleon at Austerlitz or Wellington at Waterloo having been denied them by the incompetence of their general. The problem that they faced was the huge ravine which is the prominent feature on the battlefield even to this day. During this period Lord George Murray stood at the front of the Jacobite right wing, in front of Keppoch’s men with targe and broadsword in hand. Beside him stood his aide-de-camp Anderson of Whitburgh, the invaluable young man who had guided the army through the morass before the attack at Prestonpans. Word was brought to Murray by Colonel Stewart who had been sent to reconnoitre the enemy position that there was no infantry support behind the redcoat dragoons. At about four o’clock Hawley started the ball rolling and ordered the aforementioned dragoons on the right to charge. During their march to the field and as they formed up on it, the entire Jacobite army had been a model of military discipline. This continued now as the dragoon charge drew near. Every man on the right wing with a firearm awaited the signal from Murray before firing at the enemy. The ripple of fire ran down the whole wing and some eighty redcoat saddles were emptied. This was enough for the rest who turned and bolted. Crashing in amongst the infantry regiment who were now the end of the line, they swept away the Glasgow militia and disappeared from the battlefield. Whether directed by Murray or by their Chiefs, the MacDonalds now launched the full-throated highland charge which had been so effective on battlefields for centuries. These were the men who would, of their own volition, charge again at Culloden three months later. Each of them having witnessed first hand on two previous occasions thick, red lines of British infantry disappearing like snow off a dyke in the face of such irresistible ferocity. Within seconds the MacDonalds and the Athollmen who had stood behind them in the second rank, were in among the redcoat infantry with broadsword and dirk. Nine of the redcoat infantry regiments from both ranks now began to unfurl like ripped knitting. Only the three regiments from the right wing who had formed up on the other side of the ravine, having had no other option, were able to make a stand and the remnants of the other nine sought shelter behind them as they tried to conduct a fighting retreat of the hill. Hawley’s second in command, Major Huske, who appeared to conduct himself on the day to a standard far higher than that of his commander, now sought to rally the lurking remnants one of the dragoon regiments, Cobham’s. Having done so they now, to their credit, launched a fresh attack on the Jacobite forces nearest them. However, the French troops of the Irish Piquets, counter attacked and drove them in turn from the field. In due course Murray found himself at the bottom of the hill beside Hawley’s stranded cannon having a discussion with the Prince and his advisors concerning their next move. From the initial charge of the dragoons the whole action had probably taken about ninety minutes. A second redcoat army had been driven from the field albeit without their complete destruction. But, as is always the case in the history of the Jacobite risings, there would be another one along soon. In history there are many “what if” moments but I will always wonder how the campaign may have been different I’d Murray had total command of the army. One suspects that if Murray had been in charge from the outset that he would have put the Prince back on his ship in August. But seriously, on each occasion that he had untrammelled control over the military process whether on the battlefield or simply moving a large body of men fromn place to place, his performance was outstanding. We know what happened when this was removed at Culloden.